The tile map object allow you to create maps composed of tiles. This object manages a tileset which is the texture containing all the tiles. These tiles are cut depending on the size and the spacing you have requested. Eventually, they can be set into the tile map to create a scenery. 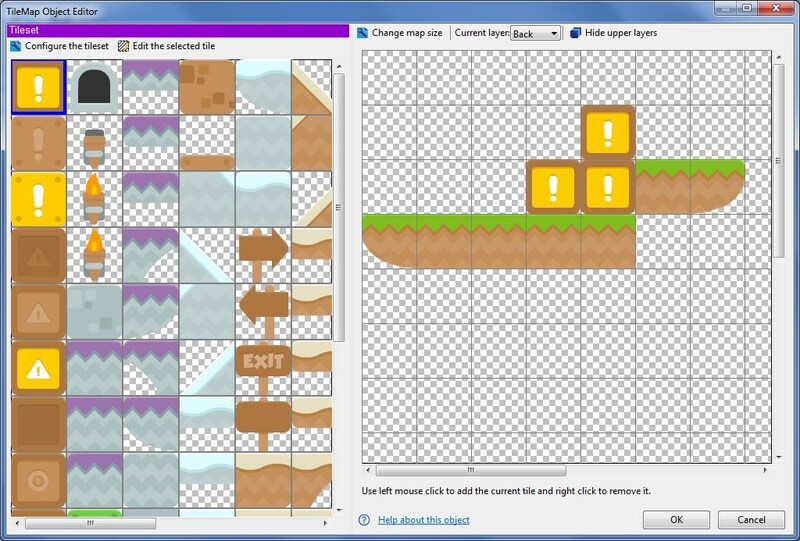 This tile map object editor is composed of 2 main parts.